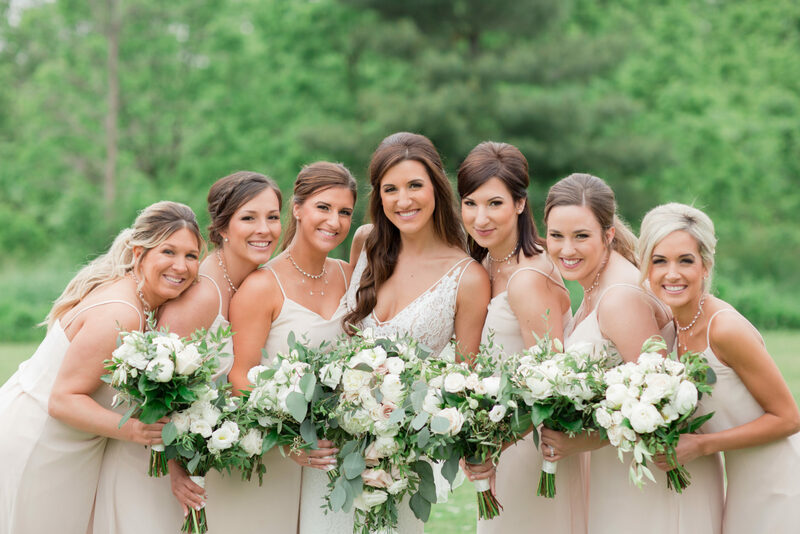 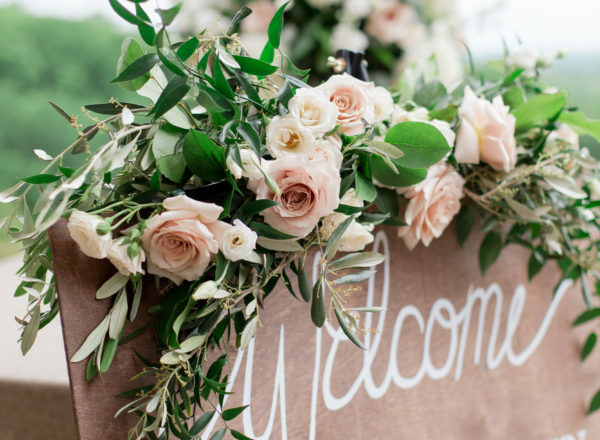 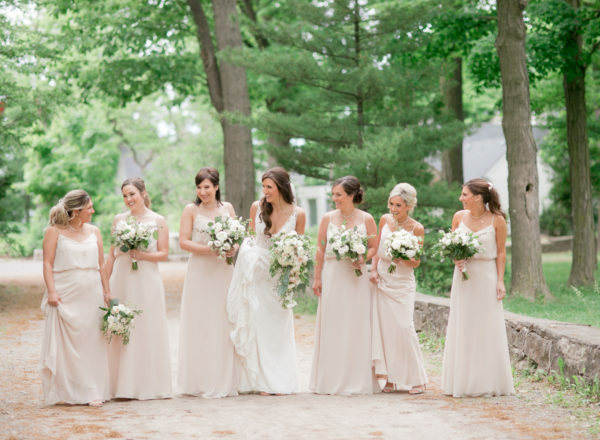 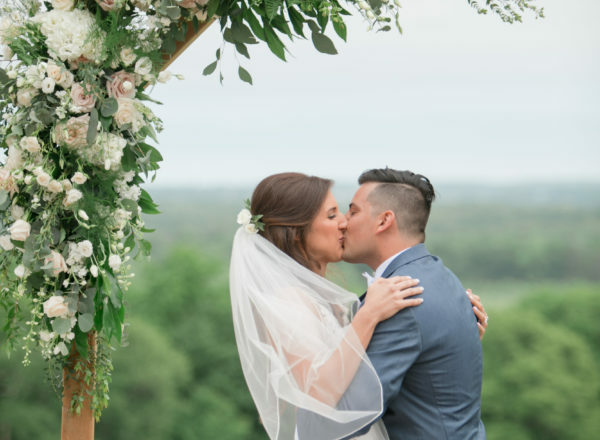 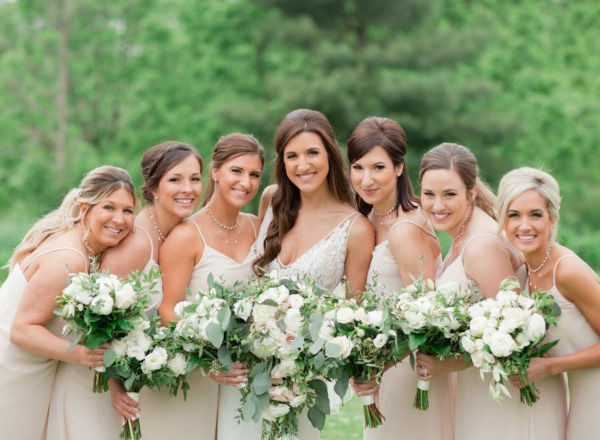 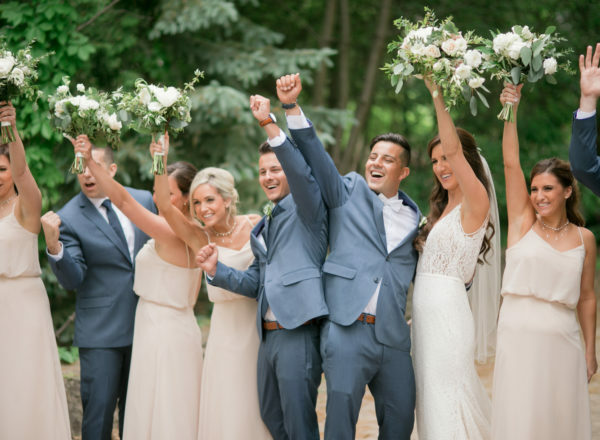 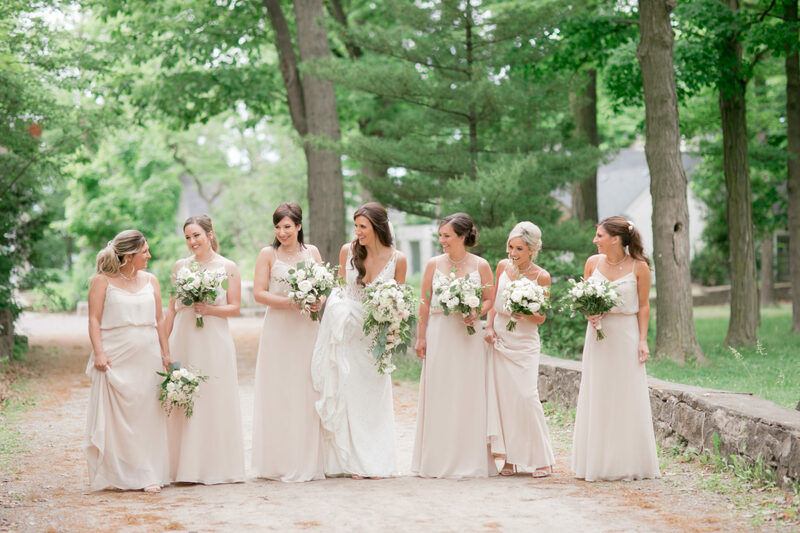 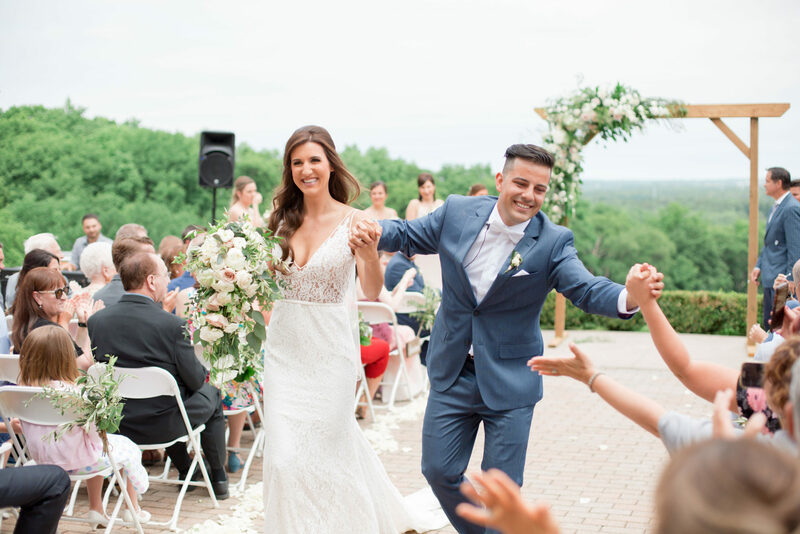 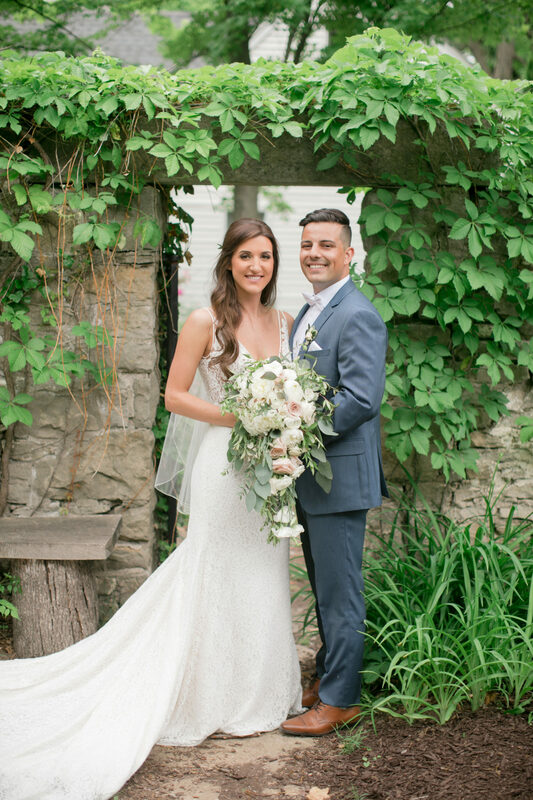 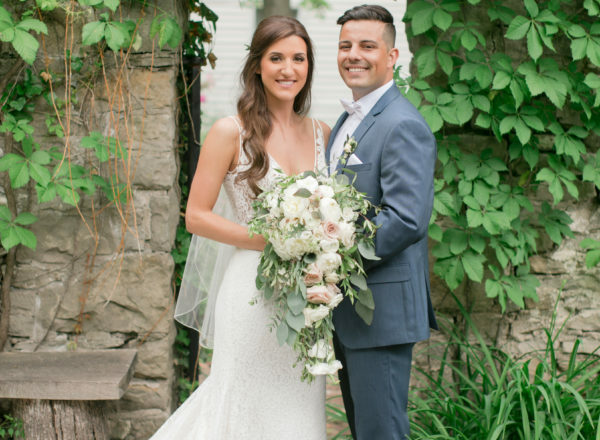 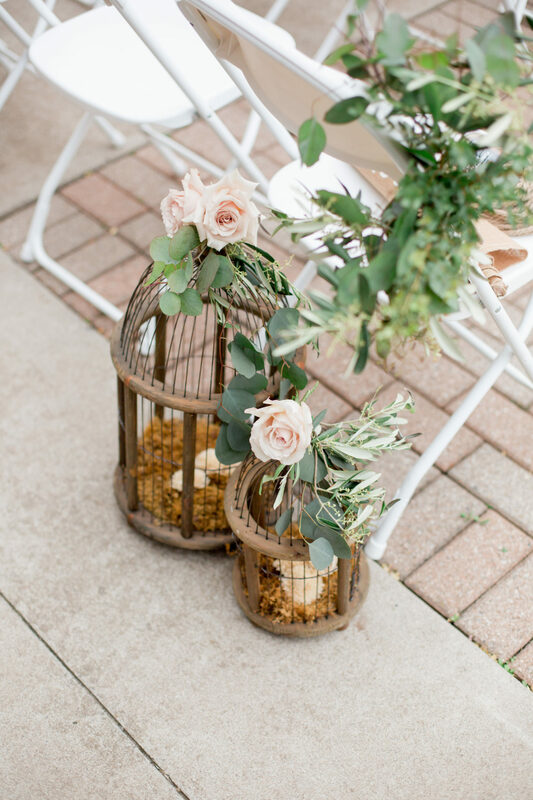 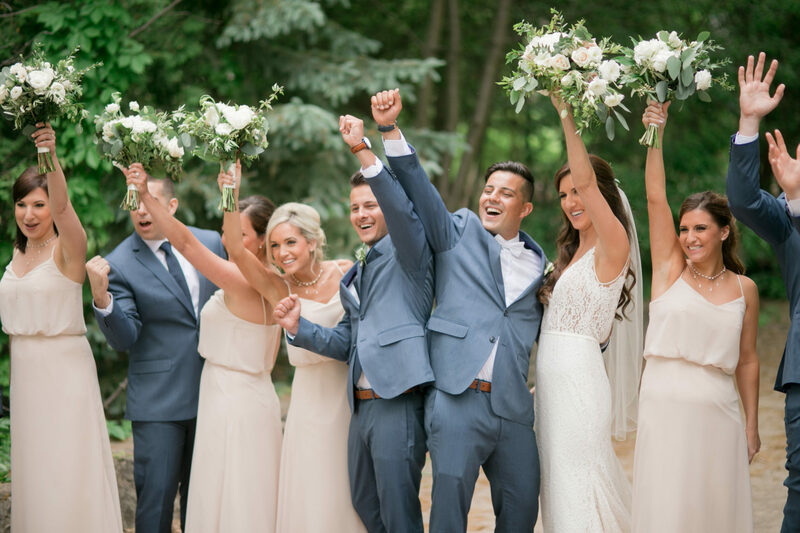 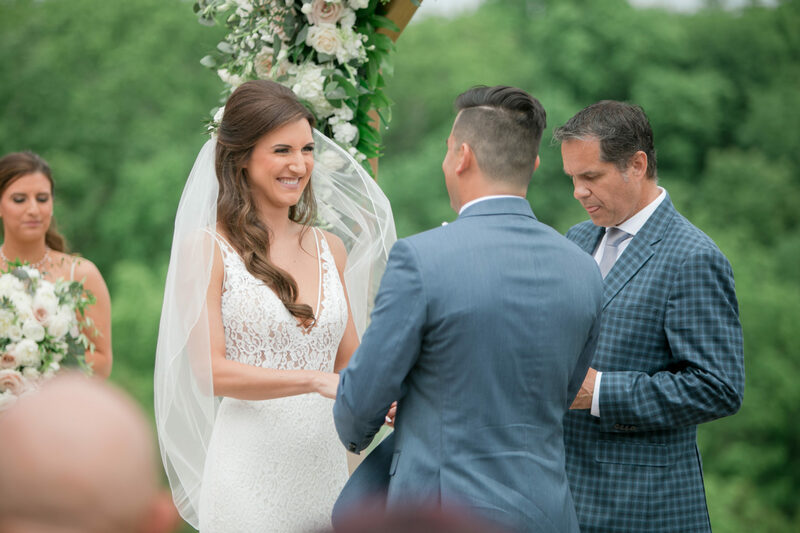 This beautiful late Spring wedding was everything that romance is made of! 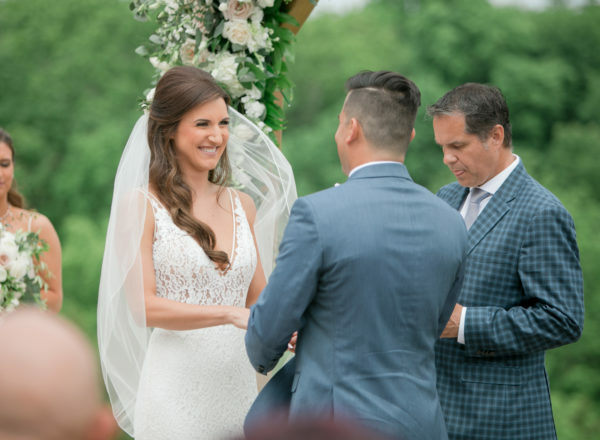 Friends and family arrived at the beautiful Lookout Point Golf and Country club for an incredible ceremony. 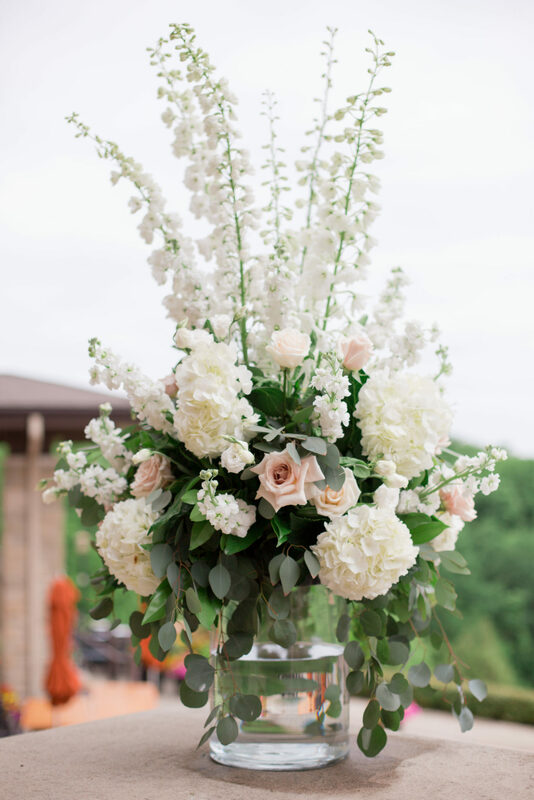 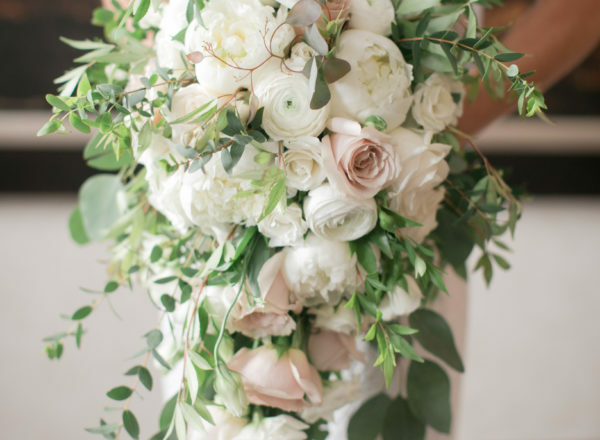 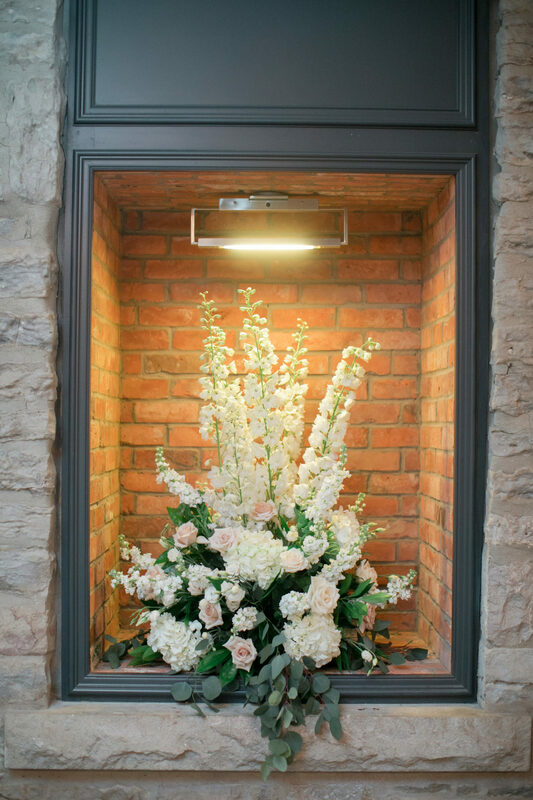 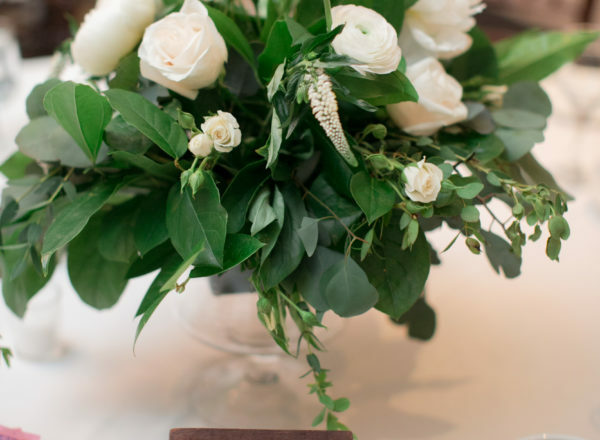 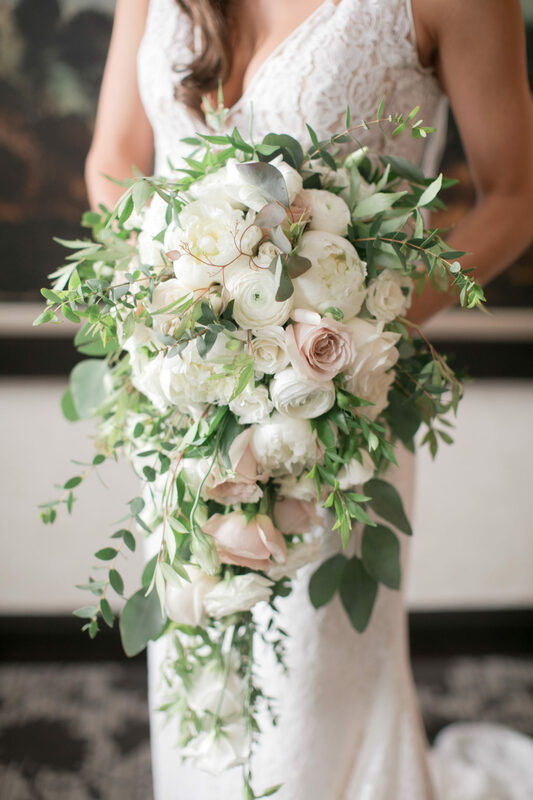 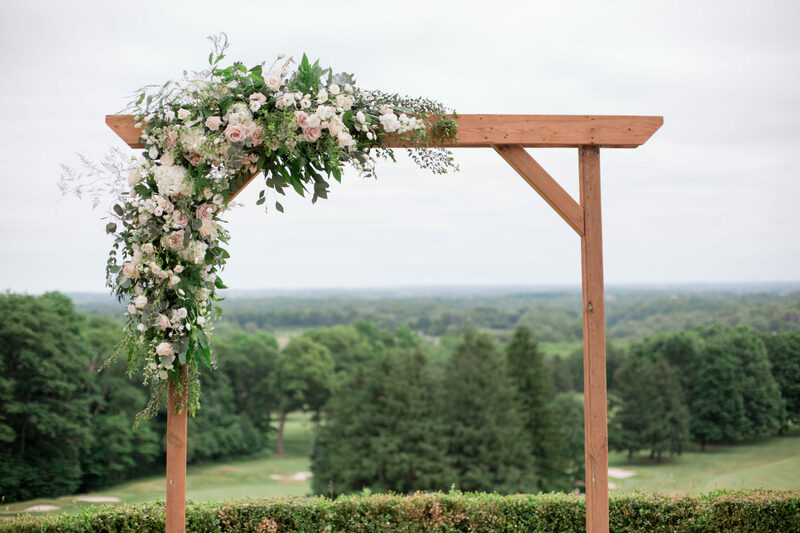 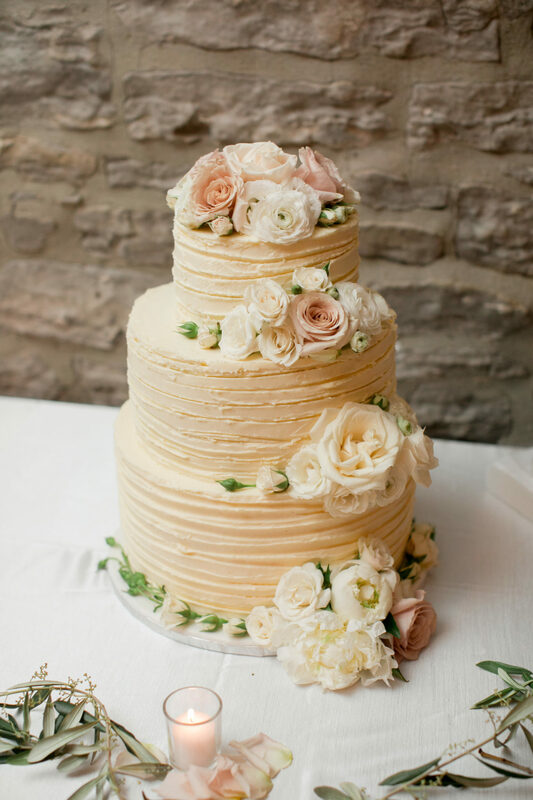 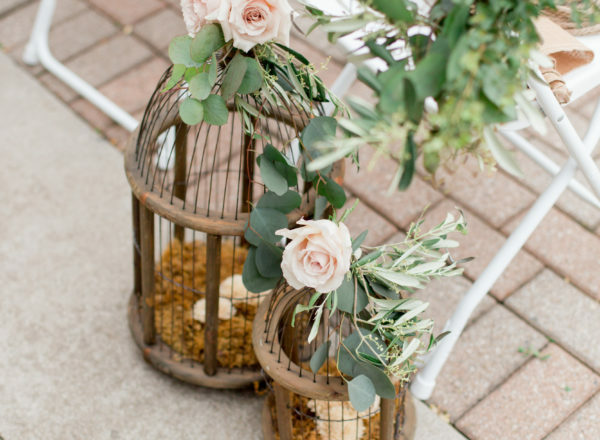 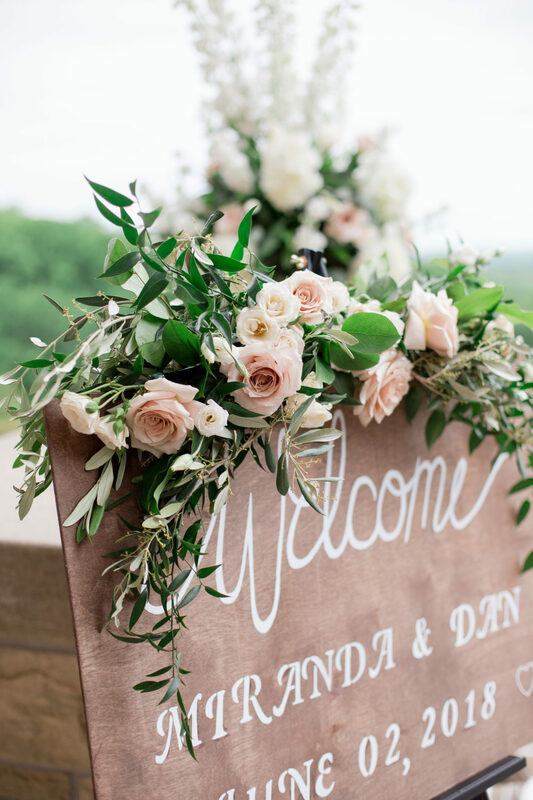 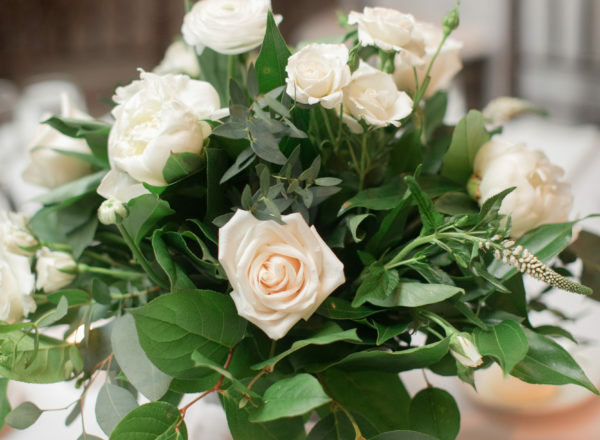 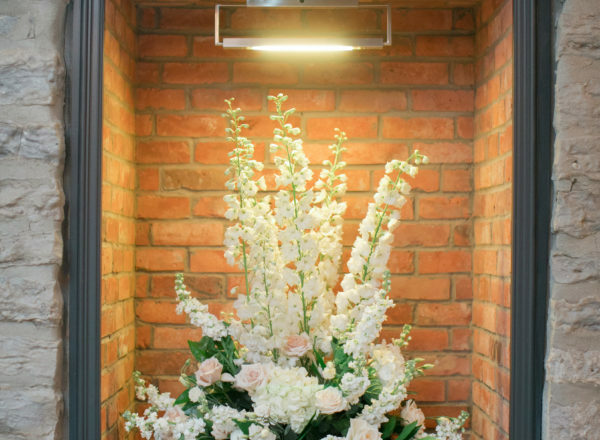 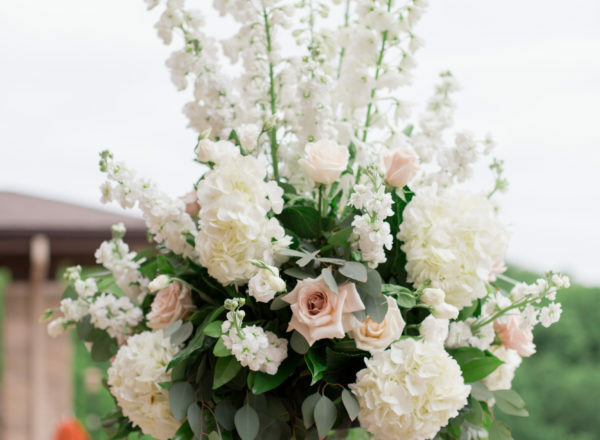 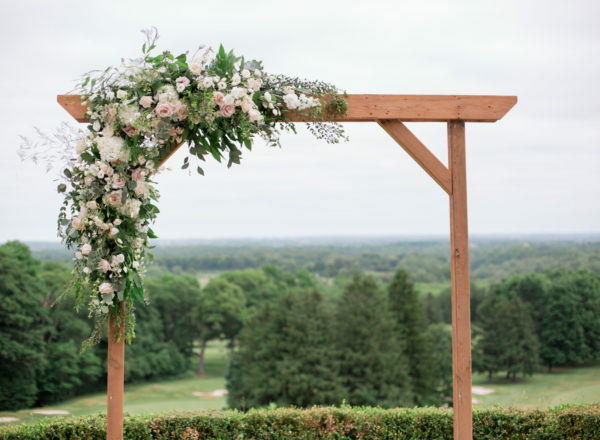 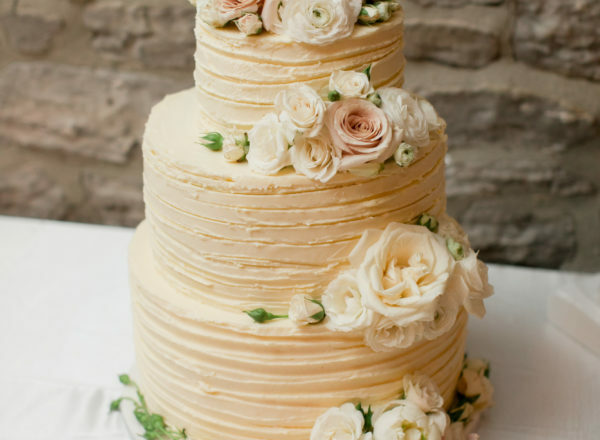 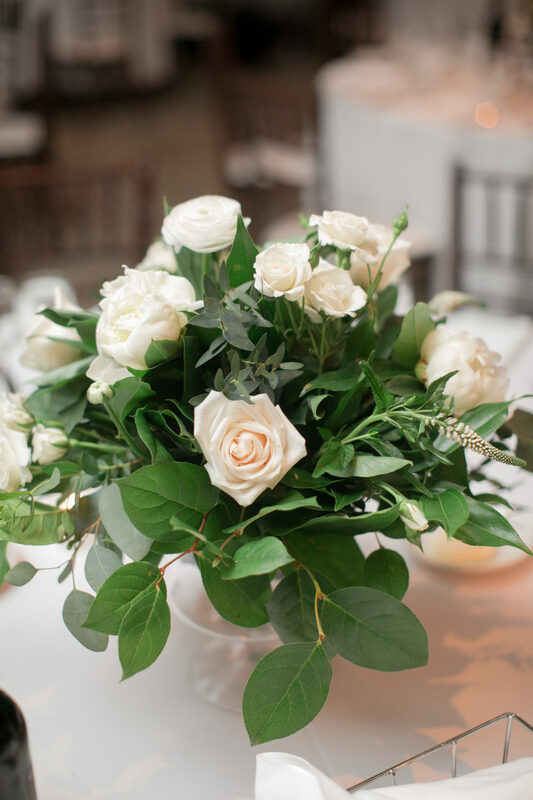 Natural views where accented in soft and romantic florals of Ivory and Champagne. 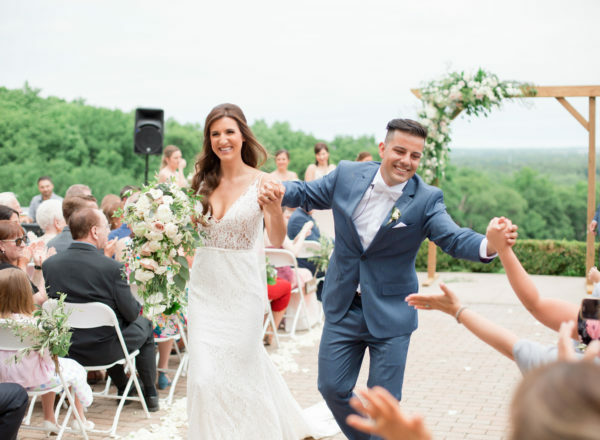 With a look of awe, our groom watched the love of his life descend the stairs carrying a whimsical cascading bouquet. 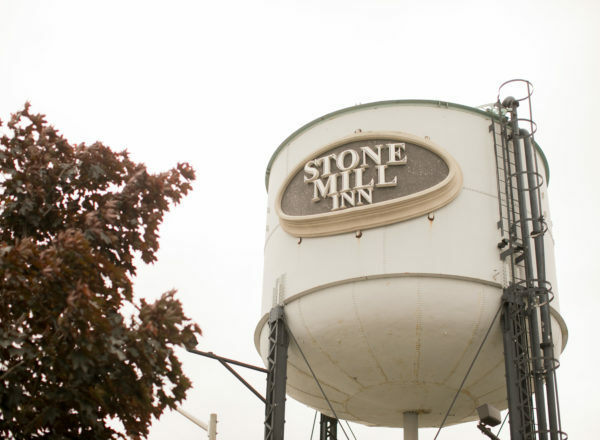 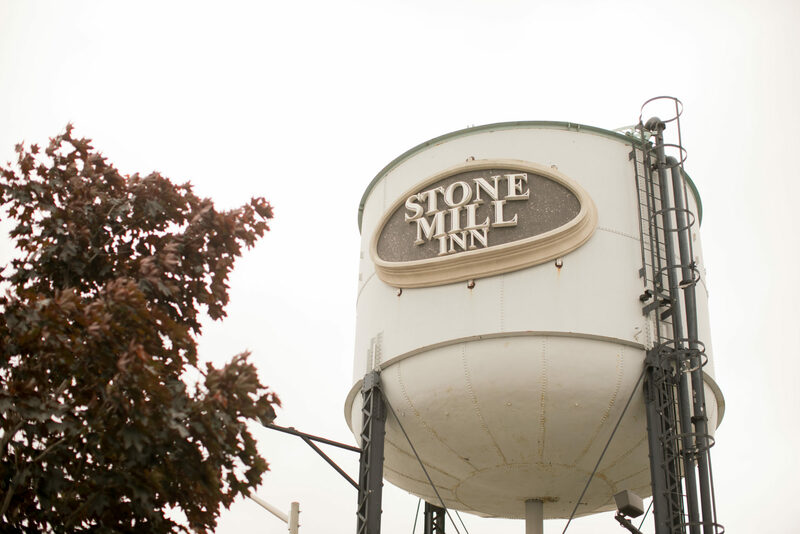 The reception was held in the beautiful ballroom of the Stone Mill Inn…. 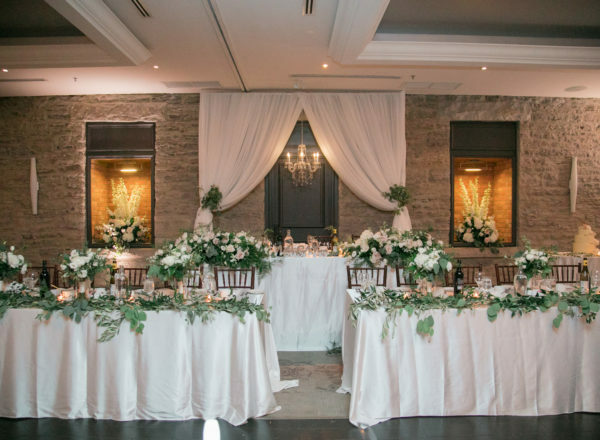 beautifully transformed to reflect the ceremony. 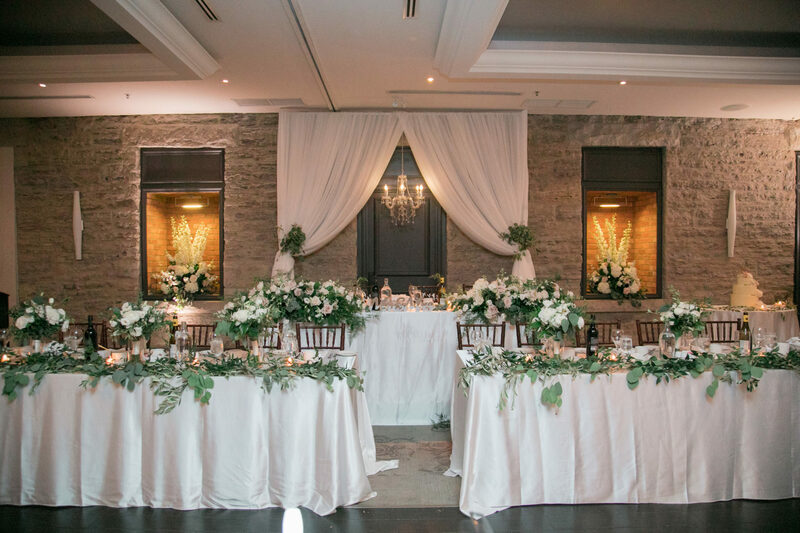 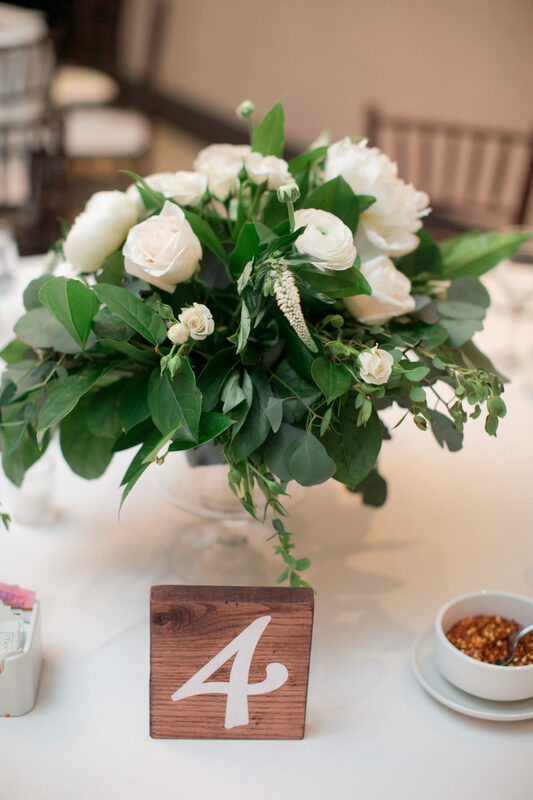 Footed glass vessels filled with Ivory florals and lush greens garnished guest tables, while the head table was draped with beautiful white fabric and filled with romantic florals of Ivory and Champagne. 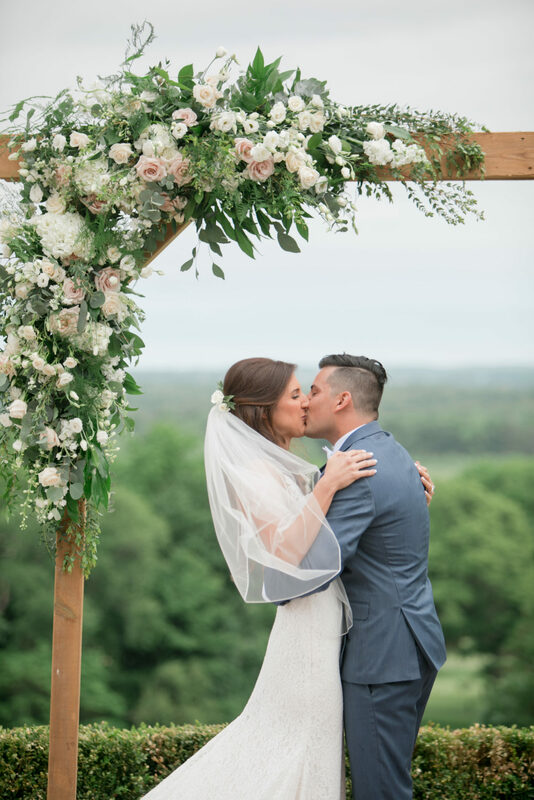 We wish them a lifetime of love and happiness!